There should be very few, if any, side effects. The patient’s well-being should be enhanced. The quality of life should be ensured. Treatment should be reasonably inexpensive. The patient should have his trouble explained to him, and the methods being used to assuage it. 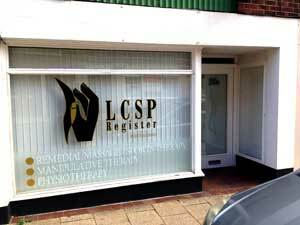 The LCSP Register requires that its Members adhere to a Code of Ethics and Professional Conduct. A copy of this Code will be freely supplied on request. Among other points, Members are required to work as far as possible in close liaison with the medical profession. The Register’s Disciplinary Committee exerts firm control over the activities of the membership and acts firmly, promptly and resolutely in cases where it is felt that a member has infringed the Code of Conduct (e.g. unprofessional forms of advertising, offering treatment which might be regarded to be outside the sphere of the remedial masseur or manipulative therapist, etc.). Such disciplinary action could involve suspension or termination of membership, with a subsequent loss of professional indemnity insurance cover for the member. The LCSP ensures that there exists extensive insurance cover for each practising member insofar as claims arising in respect of Professional Indemnity (Malpractice); Public Liability; and Products Liability. 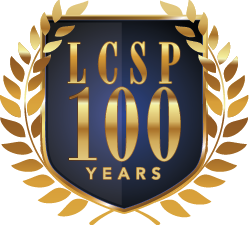 The Society has been instrumental in setting up a Charitable Trust – The L.C.S.P. Education and Research Development Trust – (Registered Charity No. 295877) – as a body devoted to the furtherance of education and research within the sphere of remedial massage and manipulative therapy. The Trust has its own resources and aims to make research and library facilities available to members of the Register and the general public. The LCSP Register approves of the training in Remedial Massage and accepts as meeting the criteria for membership graduates from all the affiliated training schools represented by the governing body of the General Council for Massage Therapy (GCMT). The members of the GCMT have set National Occupational Standards in massage training and are committed to the promotion of the profession for the public good. Additionally, the Register has direct links with colleges and organisations in the field of remedial massage and manipulative therapy in Australia, Canada and the U.S.A. These links vary from a degree of integration in teaching and organisational matters to ordinary communicative activities between the bodies. The LCSP Register is in broad agreement with and fully supports the moves towards the Integration of Complementary and Alternative Healthcare with Conventional Medicine as discussed during the Conference formally opened by His Royal Highness the Prince of Wales at London in May 1998.